Make Way for Trolls in the Pacific Northwest! I’m off to Washington State to finish my second novel in solitude! I’ll be renting a small apartment over a garage in the country, northwest of Spokane. My plan is to take a break from teaching English and grading papers, work part-time, have plenty of energy to write, and stay out of debt. Moving out of state is more expensive than I expected! I leave on Tuesday, July 11th. See below for donation prizes. My second book is very different than my debut novel, Glassmusic, released by Conundrum Press in 2014. Inspired by my family history in Norway, it’s set in the 1920s & 30s. See the Home page for more info about novel #1. My second novel is a fantasy set in the Pacific Northwest, much closer to where I grew up in Seattle, and features trolls who have immigrated from Norway. While I am in charge of the writing, my brother Michael Snow co-authored the plot and is the creator and backbone behind the story. We are first generation Norwegian-Americans, so we love the idea of integrating Norse mythology into the book. The protagonist is a young female magician coming of age in the Cascade Mountains. 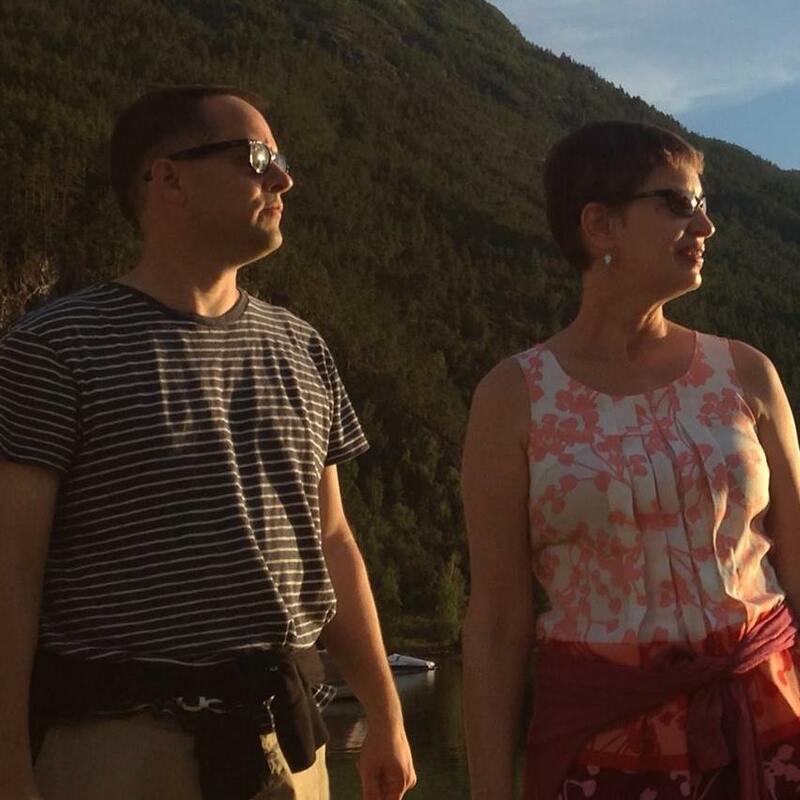 My brother Michael and me in Kaupanger, Norway, August 2015. Please help make this book a reality! So far, I have written about 25,000 words over the last few years inbetween semesters of teaching. To finish, I need to focus on writing the rest of it for an entire year while working a much less demanding job. For donations of $50 or more by the 11th, I’ll send you a signed copy of my second novel (assuming it gets published, of course!). For donations of $100 or more by the 11th, I’ll send you a signed copy of my novel Glassmusic + a signed copy of the new novel. If you dontate $100 or more after the 11th, you’ll get a signed copy of the new novel. 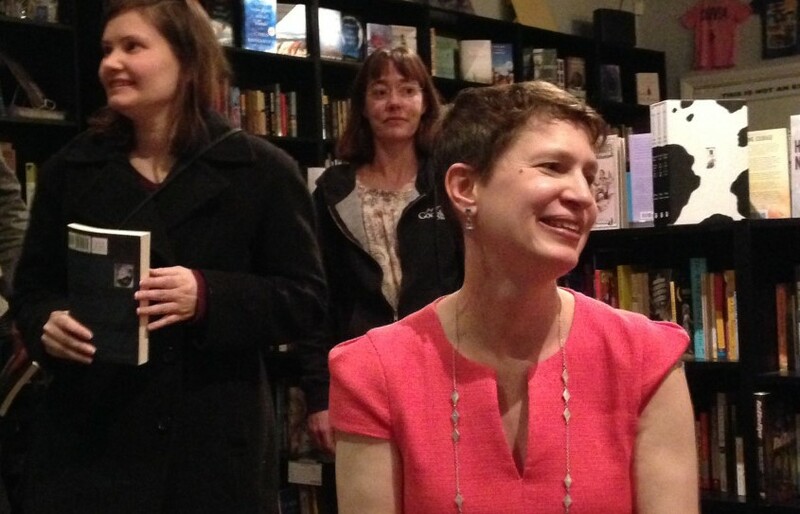 My first reading and book signing of Glassmusic, BookBar , Denver, CO, 2015.